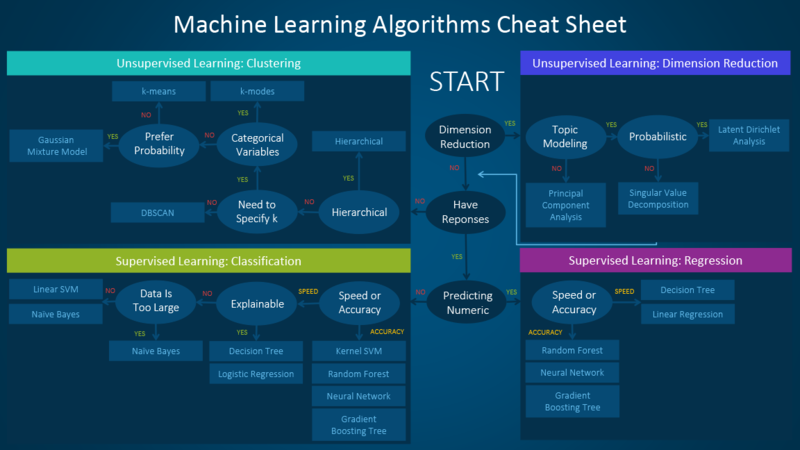 In current teams driving data science, there has been an on-slot of discussions around which machine learning method to use and which algorithms perform optimally for which solutions. 1. Type of data: such as quantity, quality and varsity in data. Our friends at SAS has put together a great cheet sheet that could work as a great starting point.